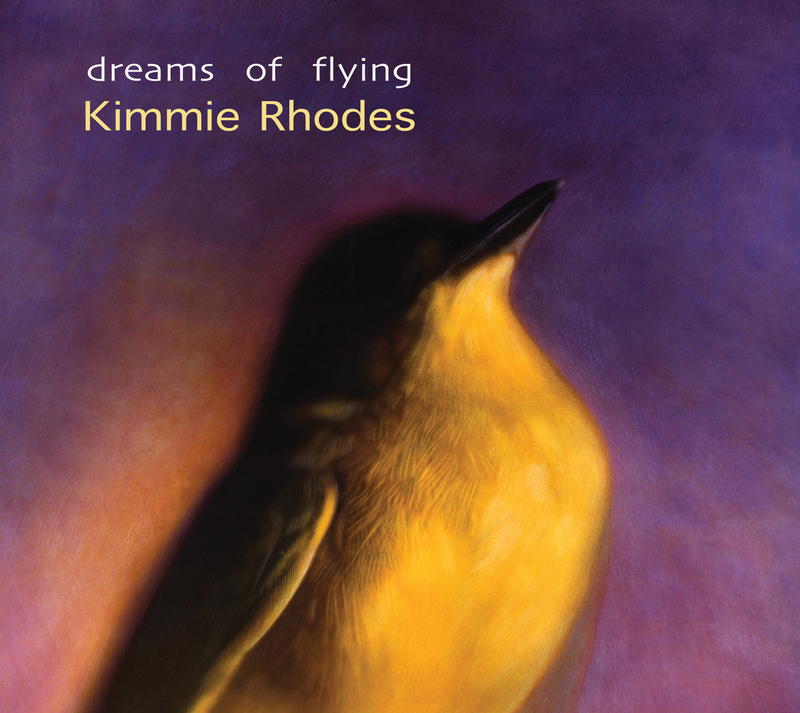 Kimmie Rhodes Dreams of Flying CD presents all new originals and a classic duet with her fellow Lubbockite Joe Ely. This group of songs takes us on a poetic voyage from dark to light, longing to hope, grounded to flight in Kimmie’s unforgettably personal yet universal style, ranging from dramatic dreaming to soulful playfulness. Dreams of Flying features an intriguing all-star cast of musicians: Charlie Sexton (Bob Dylan), John Gardner (The Dixie Chicks, Jesse Winchester, James Taylor) and Mike Thompson (Eagles). Produced by virtuoso multi-instrumentalist Gabriel Rhodes, this recording also includes a song written by his brother Jeremie Rhodes and the CD jacket artwork features stunning photographs by one of America’s most celebrated artists, Kate Breakey.